It's always nice when birds decide to live up to their name. 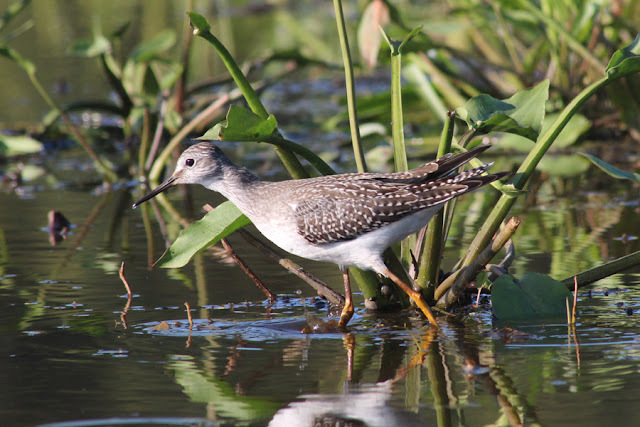 At Tod Creek Flats yesterday, the shorebirds were showing off according to the names we've given them. I had amazing looks at a Solitary Sandpiper (Tringa solitaria) all by its lonesome. 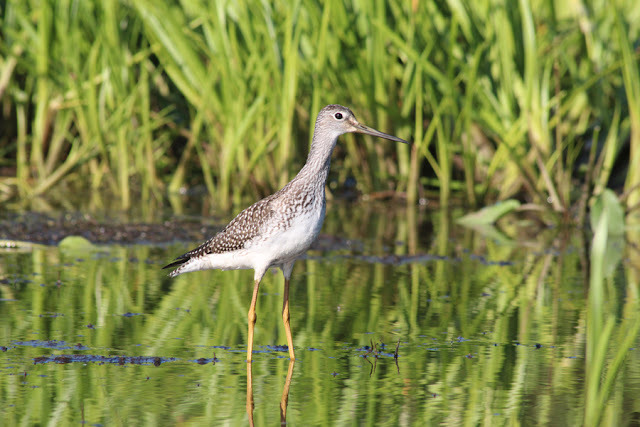 I had some taller shorebirds with yellow legs, with some looking larger than the others. 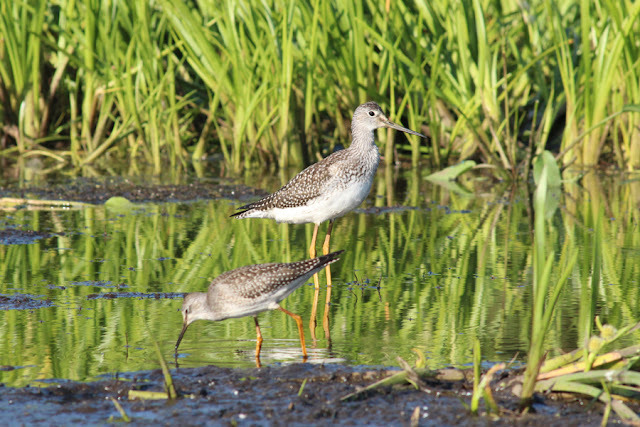 Oh isn't that quaint - Greater Yellowlegs (T. melanoleuca) right next to a Lesser Yellowlegs (T. flavipes) offering a great comparison. This Greater Yellowlegs is looking tall! Note the two-toned bill that is slightly upturned. 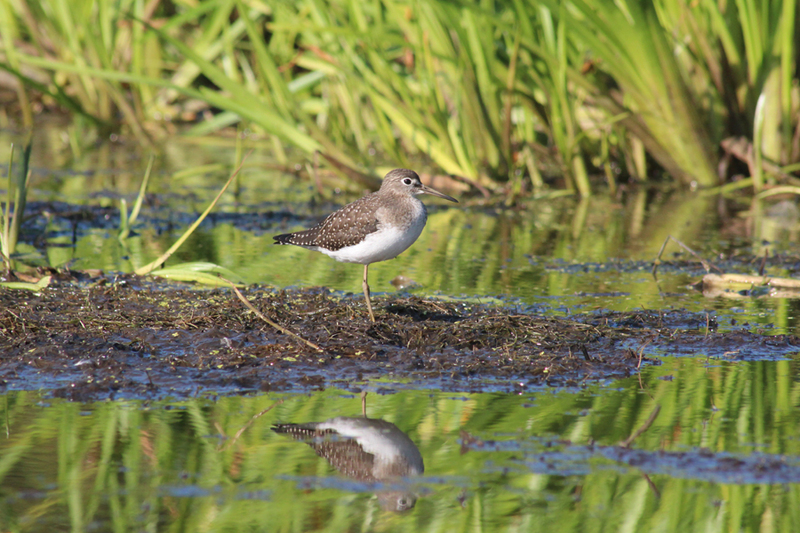 I did see one other shorebird species out there and let's just say I was glad it wasn't living up to its name: Killdeer.